An entertaining celebration of an Austin mecca for boot-scooters and two-steppers. Documentarians Brenda Greene Mitchell and Sam Wainwright Douglas share their unbridled affection for a decades-old Texas dance hall in “Honky Tonk Heaven: Legend of the Broken Spoke.” This storied mecca for boot-scooters and two-steppers may not be much to look at it — truth to tell, it might require major renovation to qualify as ramshackle — but it has survived and thrived since 1964 on Austin’s South Lamar Boulevard, even as condo high-rises have, quite literally, sprung up all around it. Owner-operators James and Annetta White have plenty of stories to tell, as do frequent Broken Spoke performers like Willie Nelson and Dale Watson, adding to a tasty mix of music and memories that doubtless will make the playlist of many PBS stations, and should wind up a top-selling DVD/Blu-ray souvenir in what passes for a gift shop at the Austin honky-tonk. James White freely admits that, back in the day, he wasn’t able to afford highly skilled labor to the build the Broken Spoke. Indeed, he says, at some time or another since the ’60s, “Every drunk in South Austin has worked on this place.” Over the years, the slipshod construction has necessitated some, ahem, imaginative patch-up work — including the installation of a tin roof beneath the original ceiling to shelter patrons from leakage during rainfall. But neither the haphazard structure nor the relatively tiny stage has kept the Broken Spoke from attracting an impressing array of country music performers, ranging from Western Swing icon Bob Wills to living legend George Strait, and drawing international throngs to its well-trod dance floor during the past five decades. Dancing is practically mandatory at the Broken Spoke, a place where, as one veteran performer explains, entertainers both famous and obscure are expected to “play music for men and women who want to touch each other in public.” Terri White, James and Annetta’s daughter, is on hand most evenings to teach anxious newcomers how to two-step. (Another daughter, Ginny White-Peacock, sews the rhinestone-bedecked outfits that James wears on stage while greeting customers, introducing musical acts and, occasionally, singing with the bands.) Usually, another interviewee notes, there is a marked difference between dance halls and honky-tonks — the former is where you take your wife, while the latter is where you take someone else’s wife. But the Broken Spoke prides itself on being the best of both worlds. Clocking in at a trim but satisfying 75 minutes, “Honky Tonk Heaven” indicates the enduring and widespread appeal of the Austin institution it celebrates — look quickly, and you see photos of folks like Michael Caine and Dan Rather among the pictures of celebrity performers and patrons — even as it discreetly raises the question of whether such a no-frills, down-home venue can survive amid the explosive modernization of Austin. James and Annetta White, whose long personal and professional union has been the driving force behind the Broken Spoke, appear determined to keep the family business going as long as possible. Will the day ever come when the last call is announced? Anyone who sees and enjoys this entertaining documentary certainly will hope that the song never ends. 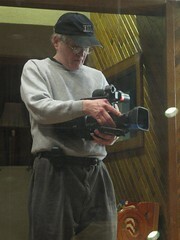 (Documentary) A Wild Blue Yonder Films production. Produced by Brenda Greene Mitchell, Michelle Randolph Faires. Executive producers, Maria J. McDonald, Scott Mitchell. Co-producers, Jenny Holm, Alexandra “Ecky” Malick, Andrea Ogden, Cheree Hamblin Hayes. Directed by Brenda Greene Mitchell, Sam Wainwright Douglas. Camera (color), David Layton, Lee Daniel; editor, Douglas; music supervisor, Andrew Halbreich; sound, Landry Gideon, Ginny Rowland, Matt Bryan, Justin Hennard, Isaac Hammons. 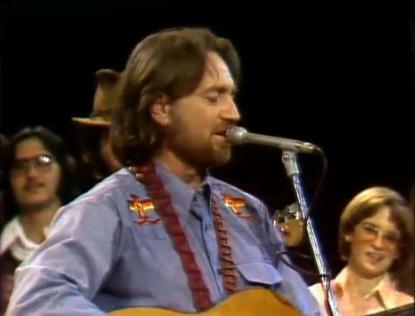 James White, Annetta White, Willie Nelson, Jerry Jeff Walker, Dale Watson, Alvin Crow, James Hand, Jesse Dayton, Joe Nick Patoski, Cornell Hurd, Ginny White-Peacock, Terri White. Tune in to the “QVC Presents QVC Sessions Live” show on Thursday, September 12 at 5 PM (ET) to see a LIVE performance from Willie! QVC is also offering a special QVC album pre-order bundle of “To All The Girls…” that includes a special bonus disk. If you miss the show, which I hope you don’t, this QVC exclusive pre-order bundle is available now on QVC.com, on the QVC apps and by calling 800.345.1515, (while supplies last). Purchase the QVC bundle with bonus disk HERE. 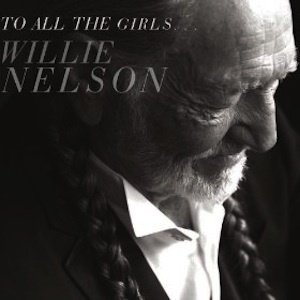 To All The Girls… is the latest Willie Nelson album set for release October 15th. Listen to Willie Nelson & Rosanne Cash perform their “Please Don’t Tell Me How the Story Ends” album track. 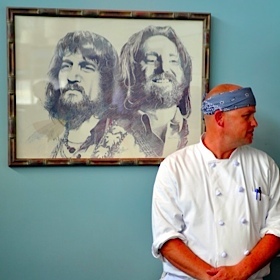 The most prominent item adorning the walls of Olivia is a concert poster of Willie Nelson and Waylon Jennings that was given to Chef James Holmes by his grandfather. His love of music does not stop there, though. You can find him selling his fried chicken to festival goers at Austin City Limits, and his second restaurant, Lucy’s Fried Chicken, recently finished hosting its five-day South By Southwest showcase, which included Alejandro Escovedo, Li’l Cap’n Travis and more. The state of Texas is asking for everyone’s help to bring the Largest Guitar Ensemble Record back home to Texas. 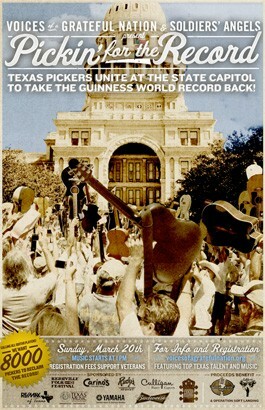 On March 20, 2011, at the State Capital in Austin, guitar pickers from all over will join together to beat the record that Poland now holds. Yeah, the country Poland. That’s not right. With all due respect to the great country of Poland — you are going down. They are calling for 8,000 guitar players. Wow. So if you can make it to Austin in March, you are invited to come and be a Part of the Largest Guitar Jam Ever and an Afternoon of Pickin’, BBQ on the last day of the SXSW music festival, at the Capitol in Austin. Money raised will help raise funds for soldiers and Veterans. In August 2009, our Troop Support Nonprofit, Voices of a Grateful Nation along with our friends in Luckenbach brought together thousands of pickers from all over Texas and thirteen different states to establish a Guinness World Record for the largest guitar ensemble ever assembled to perform a particular song. You can take part in this event, Pickers Unite and let’s take the record back to Texas! The Pickin’ Record Resides Now in Poland? Yes, Poland – So Grab Your Guitar and Register. We’ve recently discovered that our record has since been broken by 6,346 guitarists in Wroclaw, Poland. With the support and urging of Casey Monahan, the Director of the Governor’s Texas Music Office, we’ve accepted the challenge to bring that record back home to Texas on Sunday, March 20th on the South Steps of the State Capitol! WE ARE CALLING FOR 8000 PICKERS. The music starts at 1:00 until 4:00! The record breaking songs will be around 3p.m. Proceeds from your registration fees benefit Welcome Home Project, Soldiers Angels and the Yamaha Music and Wellness programs for returning veterans. For more information go to www.voicesofagratefulnation.org. Artist’s rendition of “W” hotel in Austin, and future home of Austin City Limits Studio. 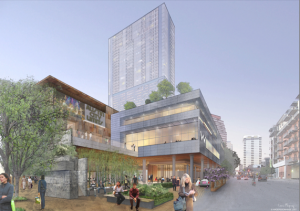 KVUE television in Austin put to bed all the rumors today, when they confirmed that Willie Nelson will perform at the first Austin City Limits show, for their grand opening in their new location. No date was given, but they did say that the hotel and condominiums would be completed in December 2010. Stay tuned. How hard do you think it will be to score a pair of tickets to that show? They probably won’t even sell tickets, there are so many VIPs who will want to go. But you know they will tape it to share with the rest of the world! Take the virtual tour of the “W”condos and hotel here. Thanks to PBS, here’s the original show from 1975. 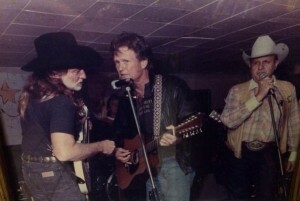 Willie has played there several times. The Broken Spoke is Texas’ most definitive dance hall. It’s not of those fly-by-night, trendy newcomers you see springing up in out-of-business lumber yards or feeds stores on every corner. You can’t build a legend overnight. 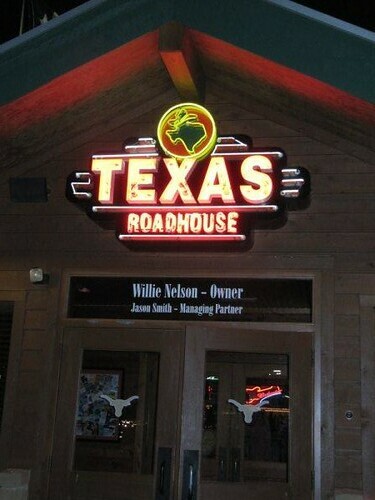 Owners James and Annetta White have been operating the Austin tradition since 1964 and its reputation for good country music and good Texas cooking has spread world-wide. Back in the sixties, the Spoke played host to countless country super stars and legends. George Strait, Ernest Tubb, Roy Acuff, and even Bob Wills tipped their hats from the stage at the far end of this old dance hall. Willie Nelson started playing at the Spoke before he moved back from Nashville when he still had a crew cut and a sport coat – before he brought braids and tennis shoes to the forefront of country fashion. In fact, it’s not a bit unusual to stumble into the Spoke on a Friday or Saturday night and find the Red-Headed Stranger kicked back against an amp, picking with whatever band is the featured entertainment of the night. It’s no secret that the Broken Spoke is one of Willie’s favorite hang-outs when he’s home in Austin. Through the years, James and Annetta have opened their doors and welcomed to the stage a pretty impressive list of aspiring musicians. George Strait and his Ace In The Hole Band cut their teeth in the music business playing by the neon lights of the beer signs in the Spoke. 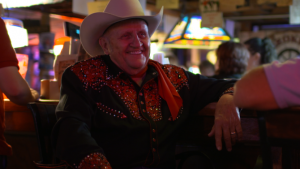 A wide variety of country superstars from Kris Kristofferson to Kitty Wells have jumped up on that stage and carried on the tradition of good country music that the Broken Spoke is famous for. It is a favorite hang-out of most of Austin’s “real” country musicians. Don’t call ’em “Hat Acts,” around here…the hats you see on stage at the Broken Spoke are as traditional as the music echoing off the walls. Although the Broken Spoke isn’t quite as old as the Battle of the Alamo – it captures the mystical charms that makes Texas worth fighting for all over again. There isn’t anything fancy in the red rustic old dance hall. After your inside, be sure to check out James M. White’s tourist trap room with all its memorabilia of country music. And as James always says, “We ain’t fancy, but we’re damn sure country.” Ya’ll come! If you are flying into the Austin-Bergstrom International Airport , for Willie Nelson’s Fourth of July Picnic at the BackYard, don’t forget that it is the gateway to the Live Music Capital of the World. The airport has exhibits throughout the terminal reflecting Texas music and musicians throughout, including this one showing pages from Willie Nelson’s hand-written song book, from when he was eleven years old. Also pictured, his Red Headed Stranger Album. Country singer-songwriter Wade Bowen’s no stranger to Waco. He grew up here and frequently brings his band back to play shows. 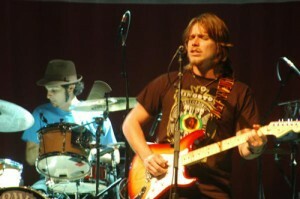 Bowen and his band headline Friday’s concert, which features blues-rocker Lukas Nelson — Willie Nelson’s son — and his The Promise of the Real band as opening act. Bowen, who lives with his wife and two sons in New Braunfels, is working to polish his songwriting chops, focusing on different styles and approaches. “I’m trying really hard to make my songwriting better,” he said. Lukas Nelson, 21, finds himself more on the folk-blues-rock branch than country on the musical tree, but feels equally at ease and satisfied with a life in music. “We’re making it — by all of our standards, we’re successful,” he from Venice Beach, Calif., where he lives. Nelson, who caught the guitar bug as a 11-year-old after being exposed to the music of Jimi Hendrix on a trip to San Francisco, already has played with the likes of B.B. King, the Dave Matthews Band and Bob Dylan. Oh, and his dad, too. The younger Nelson, whose mother, Annie, is Willie’s fourth and present wife, began music studies at Loyola Marymount University in southern California, only to quit his studies to play full-time in the area. He makes his Waco debut on Friday and is looking forward to playing — but then, he said, that’s true every time he’s onstage. “This is going to be fun. We’ll jump around and make a show out of it,” he said. 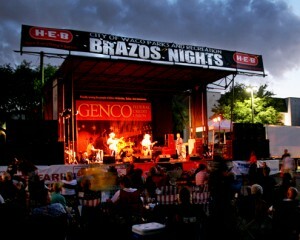 Brazos Nights fans may see a slight difference in Friday’s layout. Ongoing construction at the Waco Convention Center will force a change in orientation in the Brazos Nights main stage. Instead of paralleling University-Parks Drive, the stage will swing slightly toward the Waco Suspension Bridge. Nestled on a quiet street just off Old Spanish Trail in southeast Houston is the home of SugarHill Recording Studios, an unassuming metal-clad building with a long, vibrant and sometimes sordid history. A hidden gem in this city’s (and nation’s) musical history, SugarHill was founded in 1941 as Quinn Recording and remains the oldest continually operating recording studio in Texas. In its 69 years of continuous operation, the studio has recorded virtually every style of American popular music, with special emphasis on the sounds of Texas and the upper Gulf Coast region. 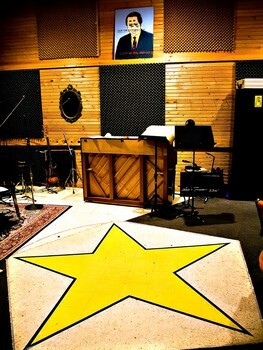 It also has hosted some of the world’s most renowned producers and artists, some of whom will likely surprise you. Indeed, I grew up in Houston as an avid (read: obsessive) music fan, and it wasn’t until three years ago I learned that the 1958 early rock staple “Chantilly Lace” by the Big Bopper was recorded at SugarHill, just a couple of miles from my childhood home. It was also the site of the original recording of Willie Nelson’s “Night Life” (rejected by his label because it sounded too “jazzy”), a slew of George Jones hits in the mid-1950s, a run of Freddy Fender classics in the mid-1970s, the most gloriously twisted psychedelia by the legendary 13th Floor Elevators and The Red Krayola and the incomparable blues of Houston’s native son, Lightnin’ Hopkins. 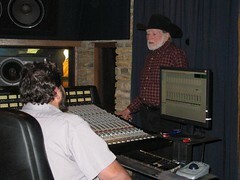 Willie Nelson and his band were in the recording studio in Austin today. Janis from Texas was there, too, and sent these pictures. Thanks, friend! Yesterday, Willie and Mickey Raphael recorded on “Desperados Waiting for a Train,” — a tribute to Guy Clark. 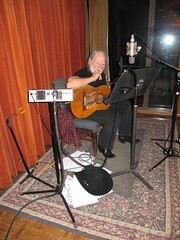 Willie Nelson and Family are also in the Austin studio recording this week. 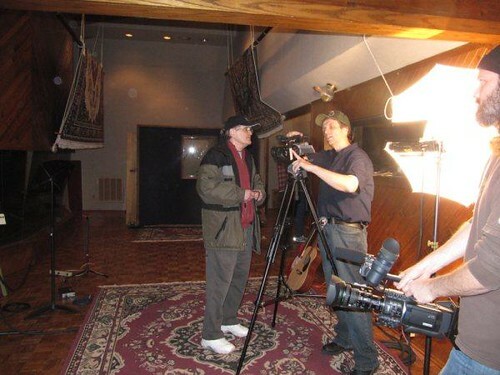 Norman and David were back in Texas, filming Willie Nelson and Friends. Here, they set up for a film shoot in Austin today at the recording studio. Janis shared these pictures. Janis from Texas sent this picture today. Wonder if she had lunch there today? Go ahead, Texas. Express yourself. When the powers in Nashville said they weren’t interested in Willie Nelson’s sound, he came home to Texas, where he made music and more than a little history. 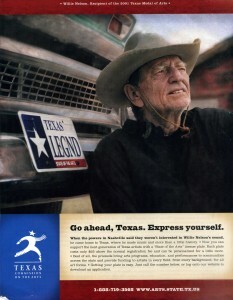 Now you can support the next generation of Texas artists with a “State of the Arts” license plate. Each plate costs only $25 above the normal registration fee and can be personalized for a little more. Best of all, the proceeds bring arts programs, education and performances to communities across the state and provide funding to artists in every field, from every background, for all art forms. Getting your plate is easy. Jut call the number below, or log onto our website to download an application. by Charles G. Anderson, Jr.
Joe Nick Patoski kicked off the Texas Author Series at the Abilene Public Library on Monday talking about a Texas legend — Willie Nelson. The country music icon is the subject of Patoski’s new book, “Willie Nelson: An Epic Life.” He said Willie Nelson was chosen for his book, because he is the most important music person in Texas in the last two centuries. 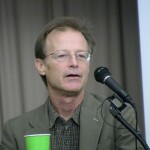 Patoski is a veteran Texas Monthly magazine writer and has written six books and numerous other publications. His biography of Nelson won him the TCU Book Award as the best Texas book of the year in 2009. Patoski said he sold his first story to a little music magazine called Buddy for $25. Patoski said he had other jobs while breaking into full-time writing. Patoski said he had always loved to write. “My English teachers in high school encouraged me,” he said. About 30 people attended the talk, most of them staunch Nelson fans, coming from as far as Coleman and Sweetwater for the first fall brown-bag event sponsored by the Friends of Library. Patoski told how Nelson started performing at the age of 5 near the family’s farm outside Waco. “I talked to some of the old farm neighbors,” he said. “They said everybody was poor, but the Nelsons were dirt poor.” Patoski said Nelson picked cotton and plowed in the fields. “That’s why he has concerts to aid farmers,” he said. 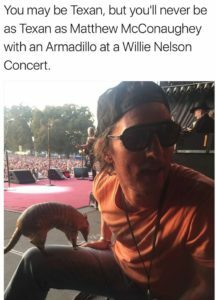 He said that Nelson arrived in Austin about the time that he came. “Austin was a place in the 1970s that you could go there and have long hair without too much attention,” he said. “Nelson moved there in 1973.” Patoski said they had the scruffy appearance and could act different without getting whipped. “Every now and then we would hear someone say, ‘get out the sheep shearer’,” he said. He also told of a strange group of fans that Nelson had in Austin. “Darrell Royal, the University of Texas football coach, was one of Nelson’s fans. Patoski said it was not unusual to find Royal where Nelson was singing in Austin. When the old Methodist building near Nelson’s family home was up for sale, a friend called Nelson about it, Patoski said. “How much do they want for it?” Nelson asked. “They want $72.000,” the friend replied. “Offer them $75.000 “ Nelson said. He said when the IRS told him he owed millions that Royal and others offered to help him out. Some friends bought property and eventually he got things straight with the IRS. “How long will he keep performing?” Shirley Alexander from Abilene asked. “As long as he can,” Patoski answered. Other programs are scheduled for Nov. 2 with Sherrie McLeroy discussing her book, “Bragging on Texas,” and Nov. 16 will feature author Gerald Saxon and photographer Jack Graves with their coffee-table book “Historic Texas from the Air.” The public is invited. Friends provide sandwiches for $4, or anyone can bring their own lunch.